Global seed-stage tech startup competition, Seedstars World, made its annual stop at Kuala Lumpur on 1st October. Being one of the biggest tech startup pitching events, Seedstars is known to help young startups connect with stakeholders within the ecosystem, build companies from scratch with their public and private partners and invest in top entrepreneurs. The companies pitching for the competition need to have a minimum viable product, less than two years old and an investment under $500,000. 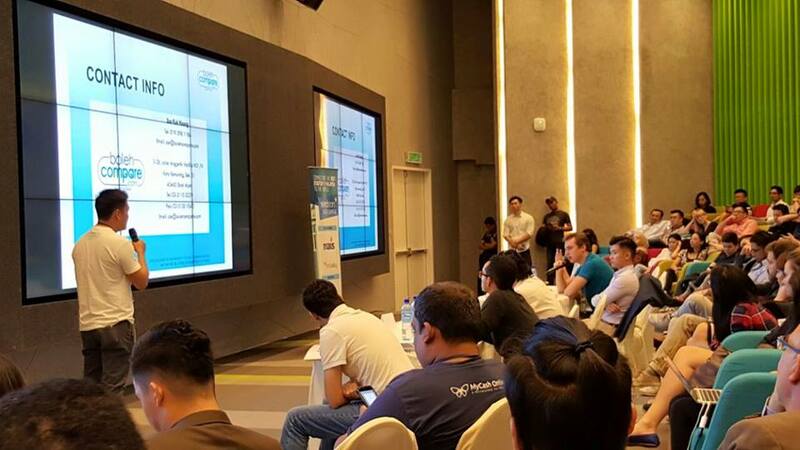 The event saw a total number of 10 finalists that were chosen to pitch for 5 minutes to a panel at the final stage where 3 startups were chosen to be crowned as the winners. First place went to MyCash Online, a startup aimed to help out migrants living in Malaysia and Singapore who do not have access to any banks or credit cards. MyCash Online is essentially an e-marketplace for migrants by providing end-to-end online services such as purchasing bus or flight tickets, mobile top-up, and bill payments through a secure and convenient service delivery. Dropee, a web platform geared to aggregate trustworthy B2B drop-ship supplies into one big marketplace, was announced as the first runner-up. Their goal is to mainly help internet entrepreneurs discover quality products efficiently, streamline order management and leave the fulfilment to suppliers so that their focus can just be on growing sales. Lastly, second runner-up was awarded to Cooked, an online food delivery service that produces and delivers chef-made meals right to the customer. Already a favourite among many Malaysians with the founder previously helming Foodpanda Malaysia, Cooked aims to provide quality meals that are affordable in price for those living in Kuala Lumpur. Being the first place winner, MyCash Online will be flying to Switzerland for Seedstars Summit that will be commencing next year. The grand event consists of a weeklong bootcamp, the final event, a conference and an investment forum. They will be among those competing for the grand prize of Global Winner that grants them $500,000 in equity with the Seedstars company builder. Other than the grand prize, there are also other industries who offer their own prizes in certain areas such as education, satellite and connectivity, fintech, innovation, woman entrepreneur and intel solutions challenge.